Scott Horn is an artist, curator, and event planner residing in Dallas, TX. Scott received his BFA in Sceneography from the University of Kansas in 2004, and moved to Dallas the same year. His grandfather was a master leatherworker. Upon inheriting his tools Scott put the traditional techniques of his grandfather to new use, preserving the craft but giving the work current relevance. 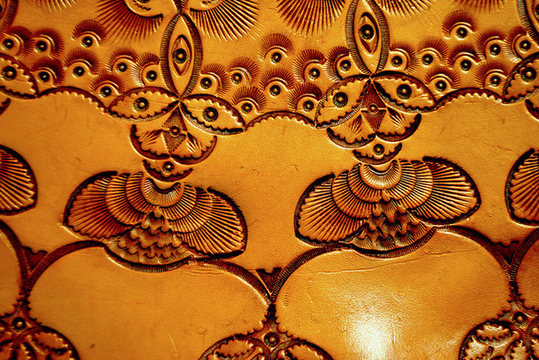 A goo design of Leather working you have showed in this website. If we follow the above link then we able to get the complete procedure which behind it and which level of skills required for this purpose. Any how, I also need some essaysupply.com review but yes good piece of information you like to posted here regarding art work. Next door to the Kessler Theater. Free parking on the street, or adjacent to the theater.